A sales transaction comprises of a customer buying some products and paying for these. In turn, the seller is required to provide the buyer with a receipt that comprises the details of the transaction like products bought, quantity, rate, total amount etc. It is for this purpose that sales receipts are used. These contain all the standard segments and subheadings that should be included in such receipts. 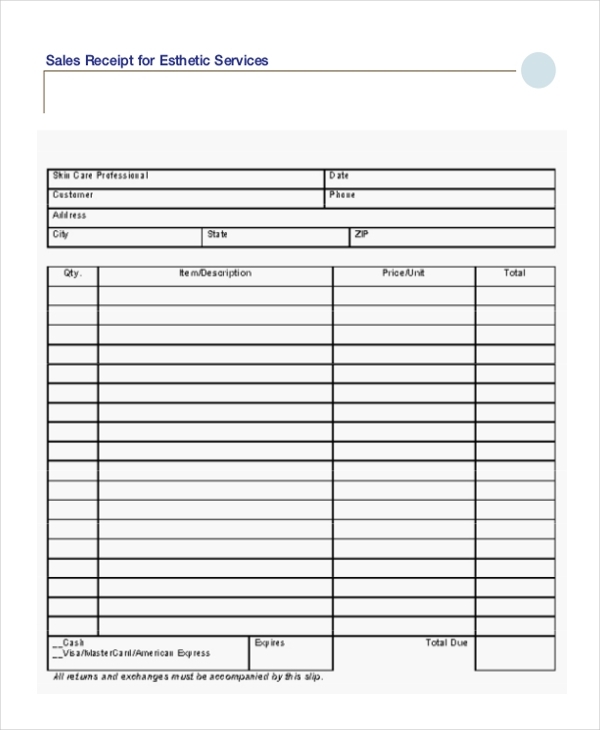 The user can further make changes to these Receipt Forms as per his requirement. 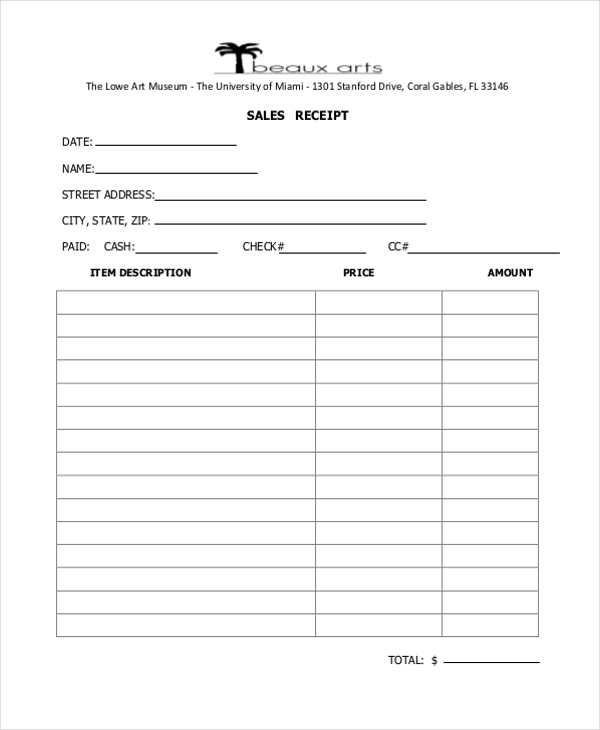 This is a sample of a Sales Receipt Forms and gives the user an idea of a format to follow when designing such a form. It contains all the segments that should be included in a receipt. This form can be used by anyone irrespective of their nature of business. 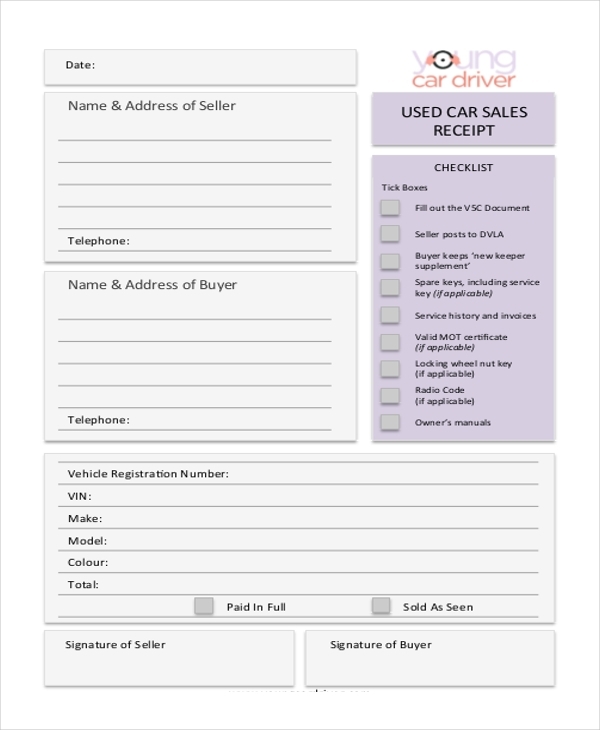 The form contains all the important subheadings that guard a sales transaction. 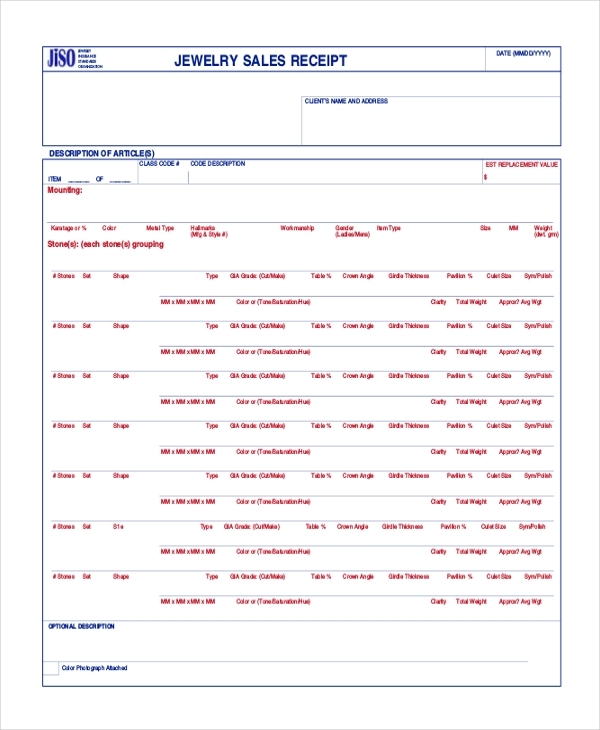 The user just needs to fill in the details in this form. 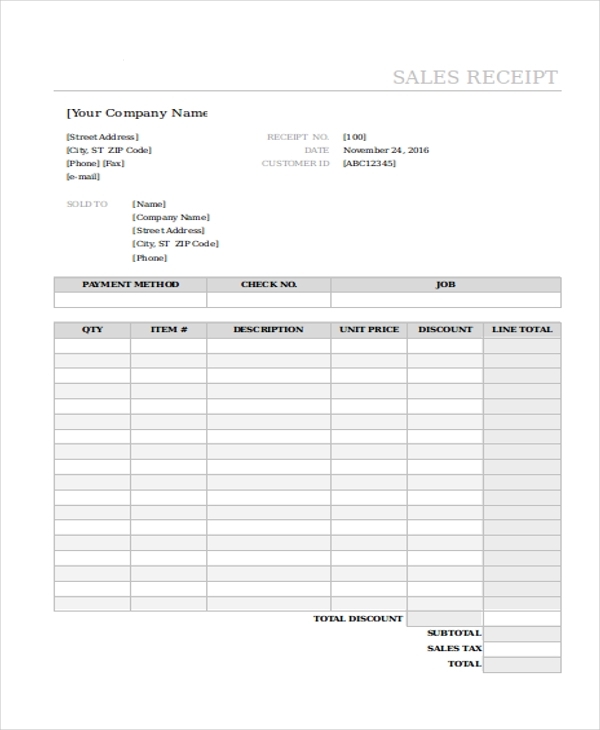 This is an example of a sales receipt form and gives the user an idea of the format to follow and segments to include when designing a sales receipt. The user can, however, alter this as per his business needs. You can also see Rent Receipt Forms. A business owner who uses MS-Excel to make calculations and guard his business transactions can use this printable receipt form which has been designed especially for Excel users. A used car dealer can make use of this sales receipt to design a personalized receipt for his showroom. The receipt comprises of all the segments that help him to define the various properties of the used car. 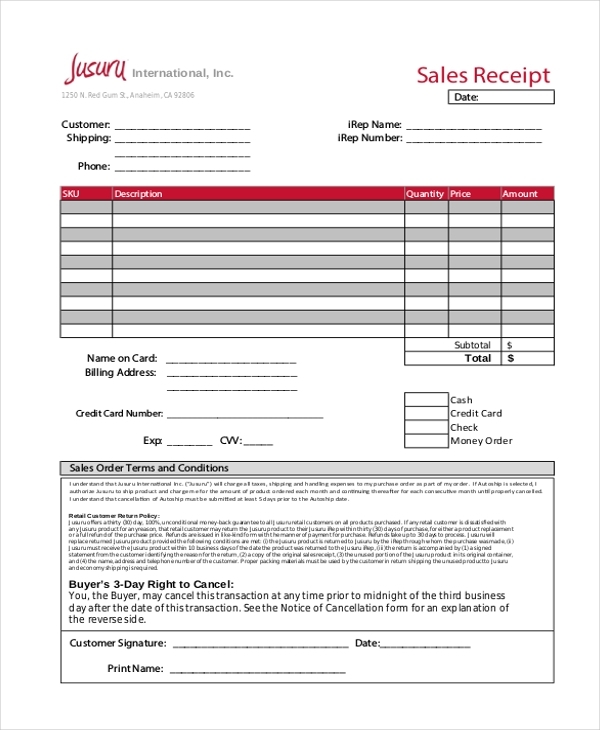 This sales receipt form can be used by a jewelry showroom to issue a receipt to the buyers. This form contains the various segments that help in defining the characteristics of the jewelry. A person who deals in the sales of merchandise can make use of the aforesaid document to design a sales receipt form for his company. 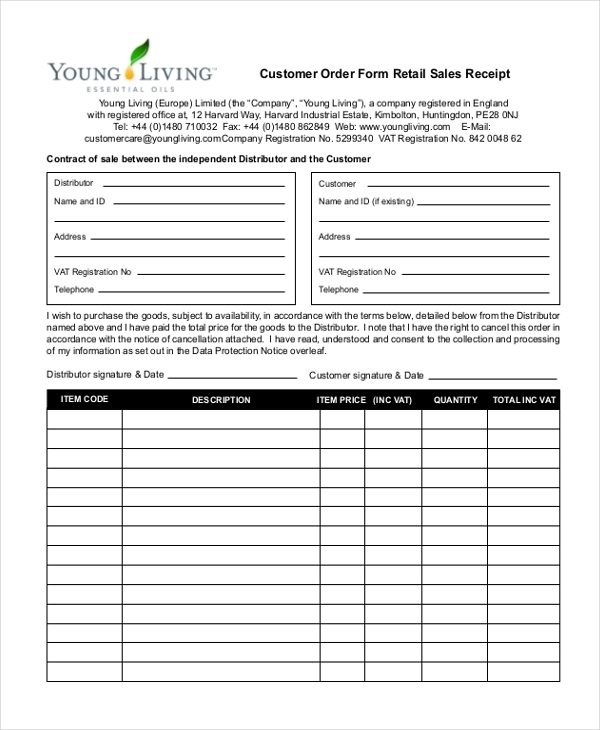 This form gives him an idea of the segments to include in the sales receipt. You can also see Petty Cash Receipt Forms. This form is used by retail stores against the sales transaction that is carried out based on the order placed by the customer. The receipt comprises of the details of the order and the sales transaction. 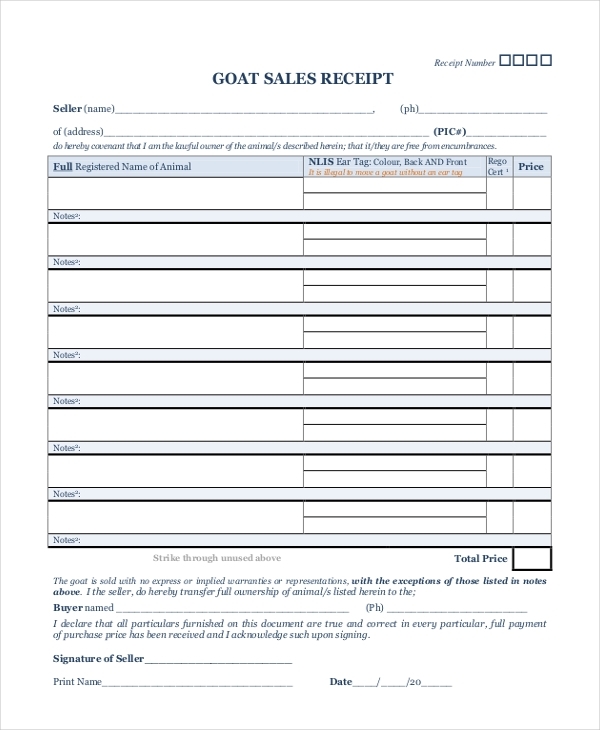 As the name indicates, this receipt is used by a person who may be involved in the sales of a goat. Using this receipt he can offer a valid receipt to his customer with the details of the goat. An organization that offers aesthetic services to its customers uses this sales receipt for the purpose. It can be used to list down the details of the services offered and the total amount paid by the customer. You may also see Payment Receipt Forms. What are The Benefits of Using Sales Receipts? 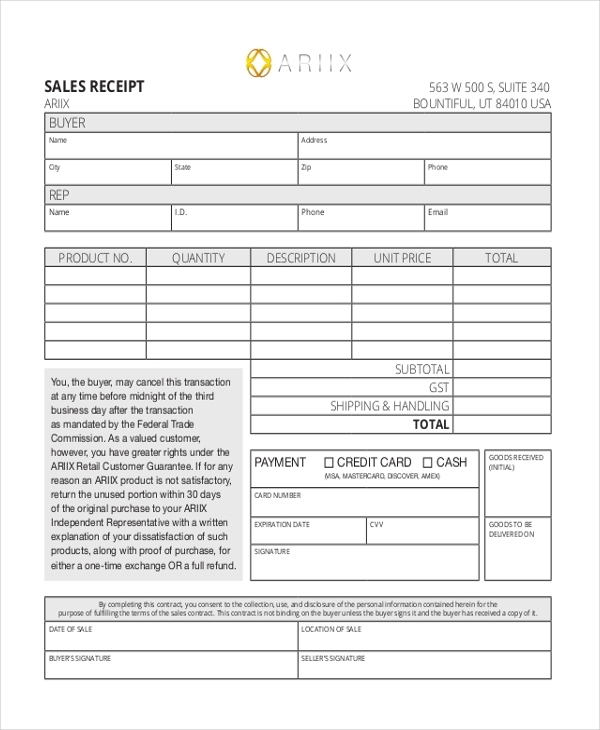 Not sure how to design a sales receipt for your organization? Don’t worry! We have a wide range of receipt of payment forms in our collection. Browse through these and pick the one that is apt for you. 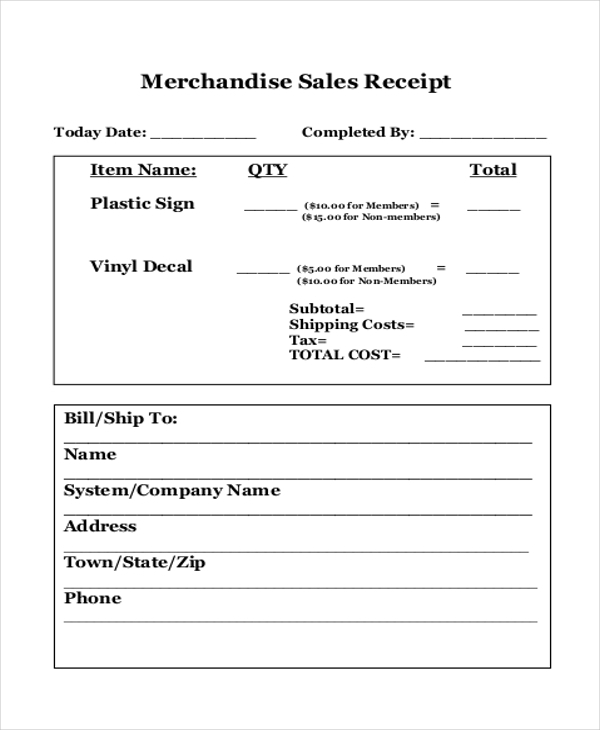 Easy to download, convenient to customize and print ready, using these can help you come up with a unique sales receipt in no time. You can also see Deposit Receipt Forms.